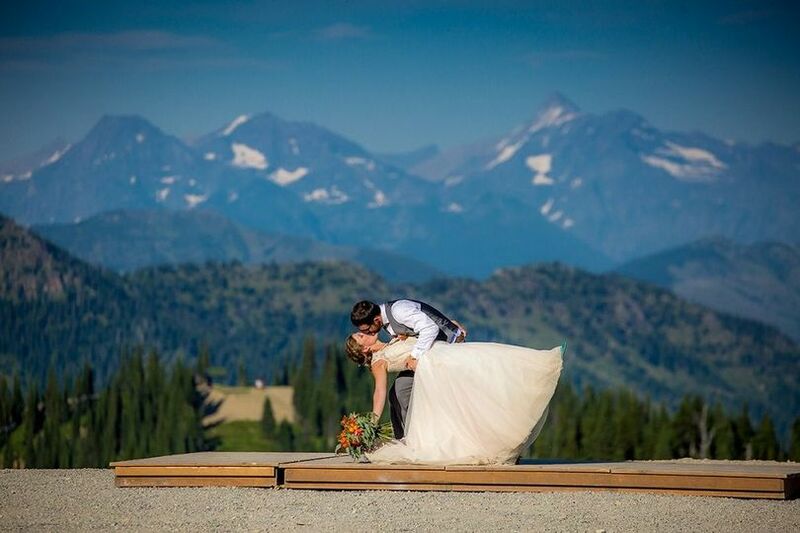 Whitefish Mountain Resort is an outdoorsy resort and wedding venue located in Whitefish, Montana. 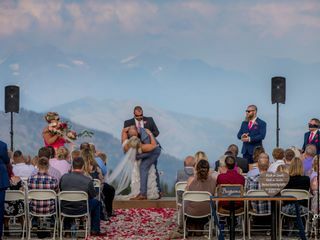 This venue looks over Glacier National Park, providing you with an awe-inspiring background for your ceremony. 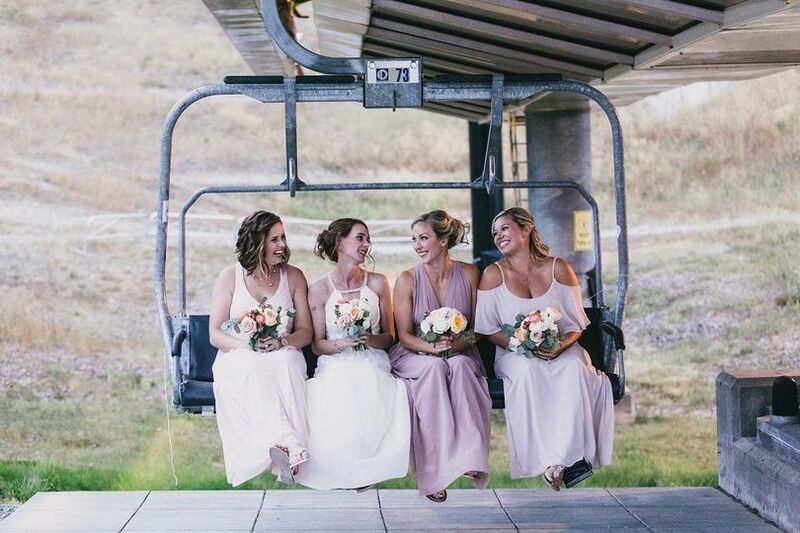 When you book your wedding with Whitefish Mountain Resort, you and your guests will benefit from discounted lodging and other activities during the week of your event. 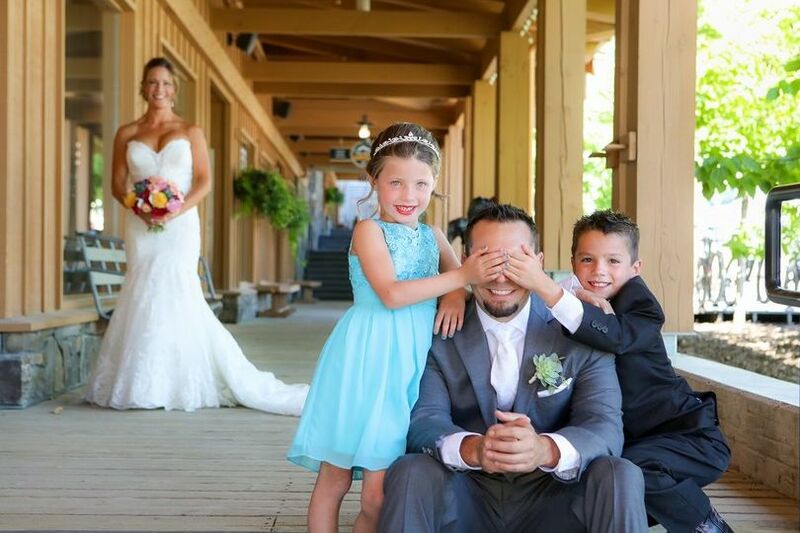 Book now for your dream wedding in the mountains! The Summit House has been recently remodeled and includes exposed wood beams, custom lighting and amazing views of the surrounding mountains and valleys. The Base Lodge sports a lovely outdoor patio with a stone gas firepit overlooking the lower slopes, ideal for cocktail hour and interaction with your friends and family. 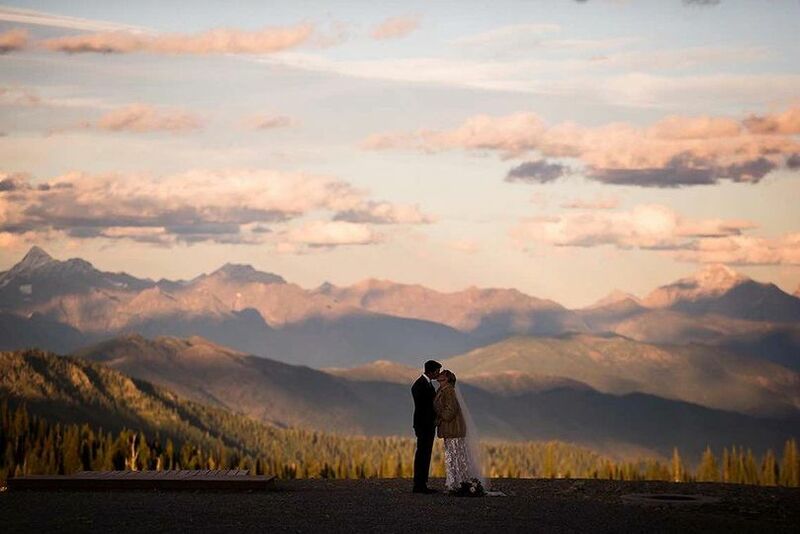 If need be, couples can host their ceremony in the Base Lodge if the weather is not cooperative. Both venues have capacity for 200 guests. Couples can coordinate with their first-class catering department to create the ideal menu for their special day. Buffet, hors d’oeuvres, plated and stations are all serving styles that Whitefish offers. 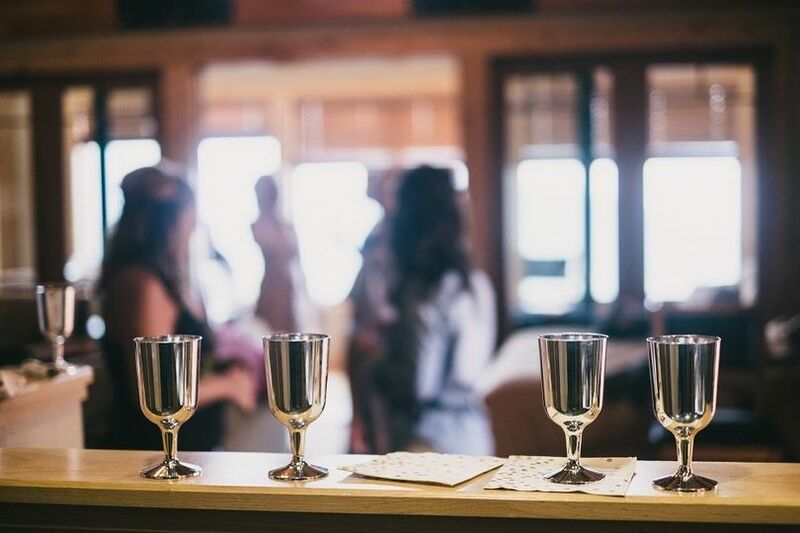 At this location you and your guests will have a variety of options for entertainment. 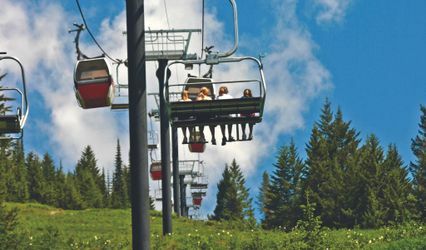 Visit Glacier National Park, Flathead Lake or enjoy local shopping and dining options and golf courses. 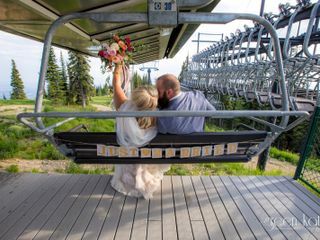 Whitefish Mountain Resort was an absolutely amazing venue for our wedding! I cannot say enough good things about Sarah and the staff. 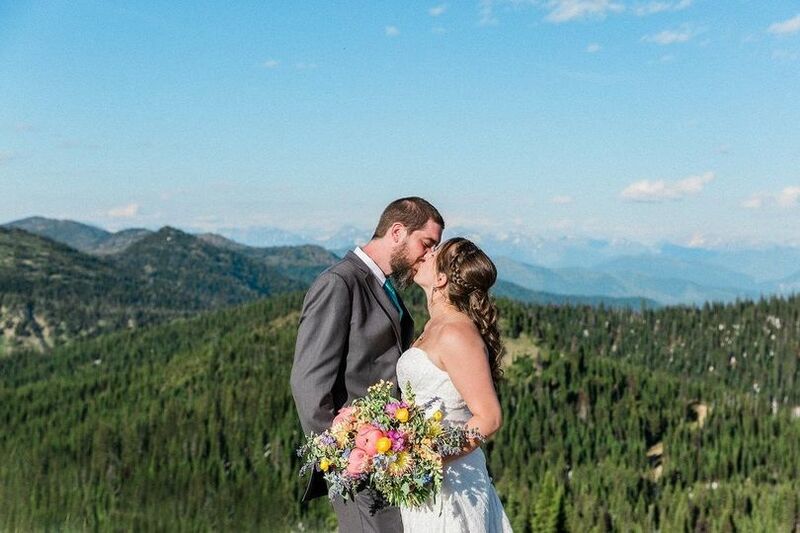 We are originally from the Flathead Valley, but were planning our wedding from another state and Sarah made the whole process seamless. 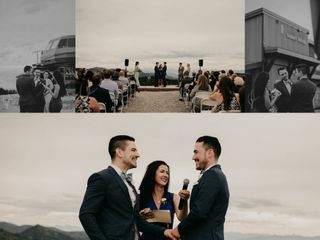 Having the ceremony and reception at the summit was such a fun experience for our guests and people are still raving about the delicious food! 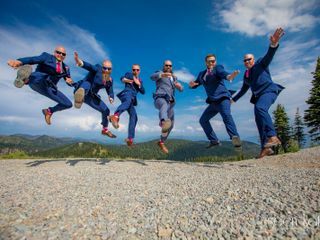 If you are looking for a venue that captures the essence of Montana and offers exceptional service then Whitefish Mountain Resort is the perfect choice. I cannot say how nice it was to work with Sara and the Whitefish Mountain Resort team. They made everything so easy and the night ran PERFECTLY! It was freezing but they accommodated my guests and my every need. The event was beautiful and on time, the food was beyond delicious and my guests all had an unforgettable time. Hi Kira! We appreciate you posting a review. You and RJ were such troopers with the late season chilly weather! It was great to see you all enjoying the day and evening so much. We'll see ya on the slopes soon! 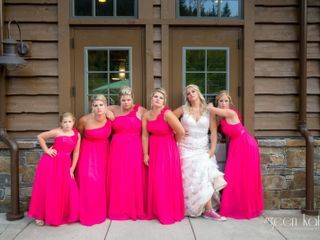 We worked very closely with Sarah at Whitefish Mountain Resort and she was absolutely wonderful! We were a bit nervous to plan our mountain wedding from our home state of Minnesota, but Sarah made it a breeze. She had check-lists, timelines, and deadlines all organized to keep us on track, and she thought of things I wouldn’t have even considered. Everyone at the resort is very friendly and very helpful - the front desk staff made sure our guests got their welcome boxes, and if it was missed at check-in, they delivered the welcome boxes to each persons room. 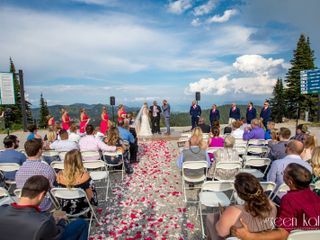 Our ceremony was held at the summit, and Sarah did a great job of setting up pieces for our unity ceremony, chairs, and she even laid out the rose petals that lined the aisle herself. She walked us through rehearsal and kept everyone on schedule! 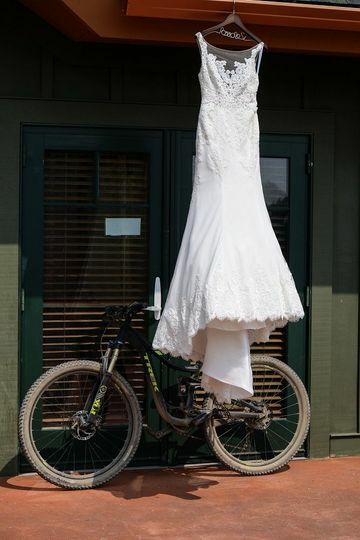 In terms of the reception - ours was held in the base lodge and it was perfect. Our guests waited and had appetizers on the patio until we arrived, and then our meal was served buffet style. All of our guests commented on how delicious and warm the food was - that was a big deal for us! Set up and take down were a breeze and aside from dropping everything off, the Whitefish Mountain Resort staff set up our signs and photos and put on all the finishing touches. 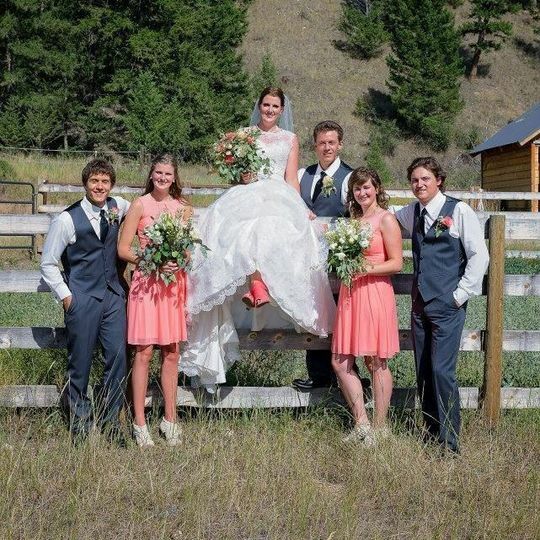 We truly could not think of a better team of people or a more perfect day! Charis, thank you so much for posting such a great review! We had such a fun time with you guys. 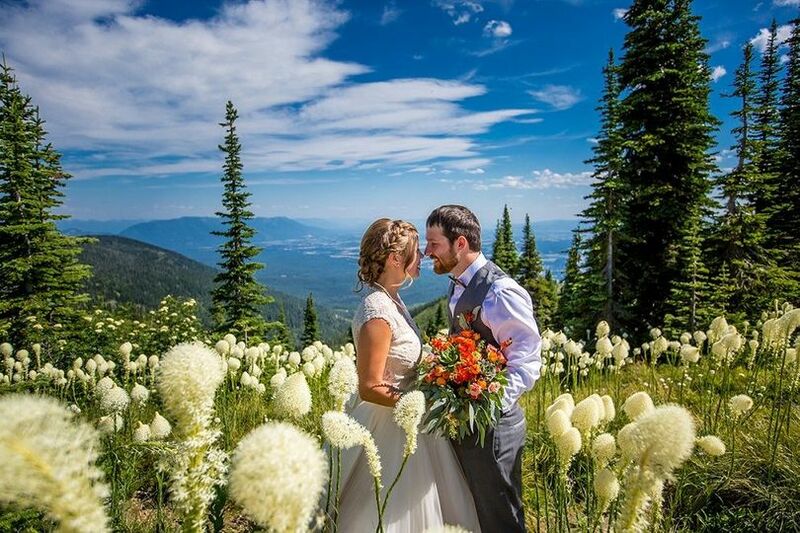 Our whole team here at Whitefish Mountain Resort is thrilled to hear such good feedback, and we're proud to be one of the best mountain resort wedding venues in the Northwest US. We hope to see you and Kyle back here for some winter or summer fun on the slopes! What can we say, the Mountain is an institution in the Valley and well-loved. 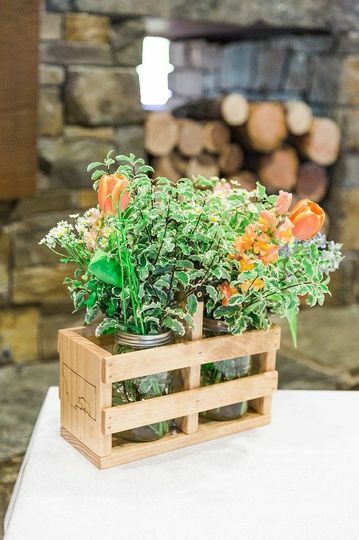 They have recently renovated all their event venues including the base lodge and the Summit House, and they are all beautifully done. 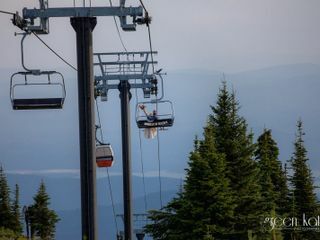 The chefs at the Summit House turn out some amazing catered food, particularly when you consider they are 3000&apos; above the rest of us and have to get supplies by chairlift. We attended the Moonlight Dine and Ski a few years ago (highly recommended if the weather is clear!) and the Greek buffet meal they put out was the best Greek food I&apos;ve had in Montana. Their event coordinators are community-involved and very professional and on the ball.